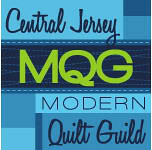 Reminders for members first. 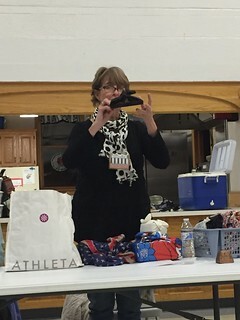 Now is the time to pay your dues for 2019! 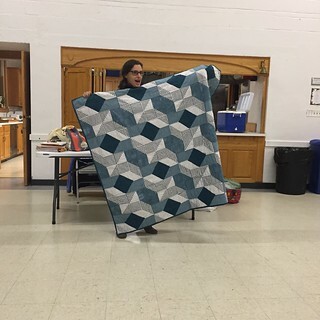 Please mail them to Christine if you haven't already. 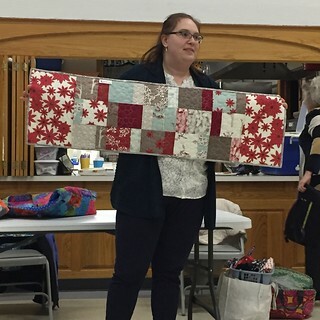 In January we'll be doing a mug rug swap, so don't forget to bring one to the meeting. 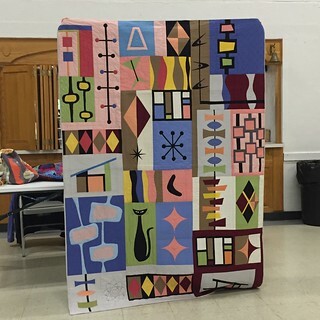 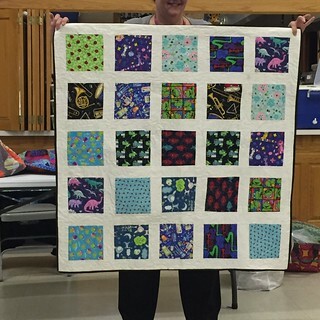 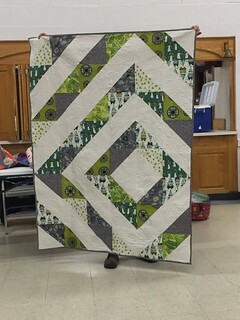 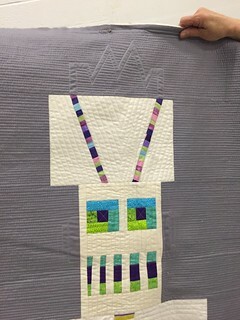 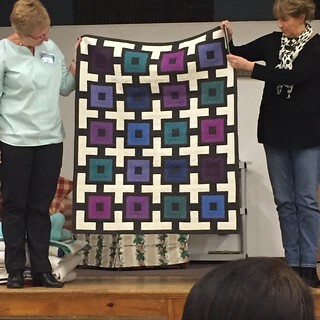 Our QuiltCon Charity Quilt has been quilted by Jamee. 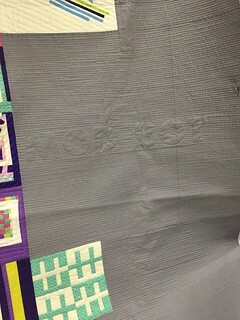 Mod-Bot got some really fun details. 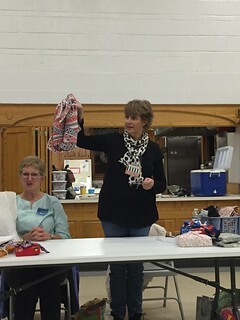 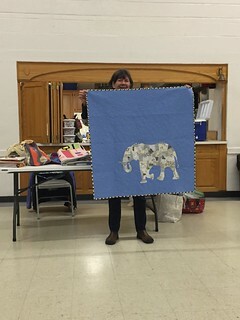 Then we had a trunk show by Connie. 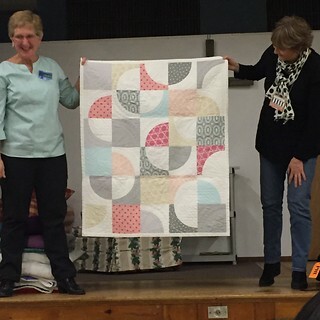 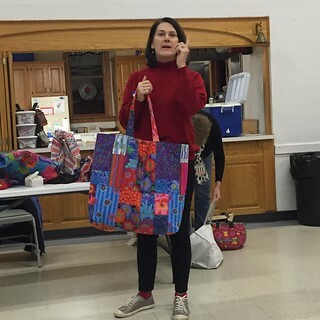 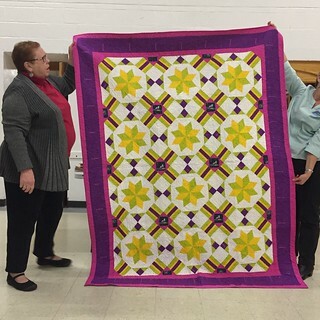 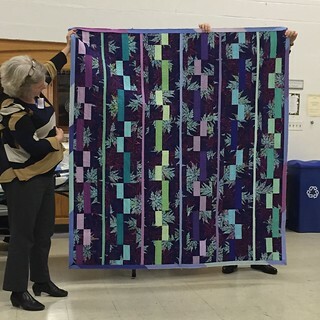 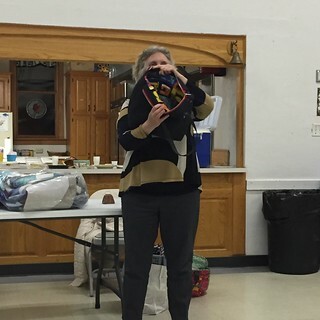 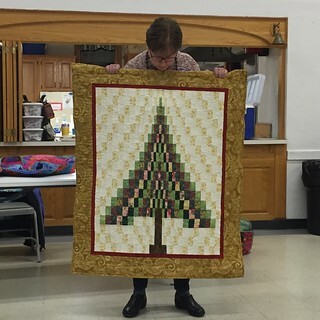 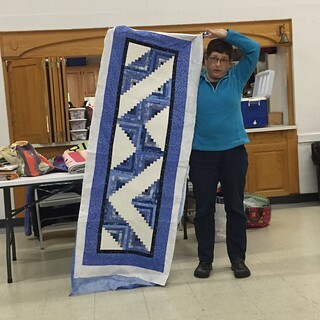 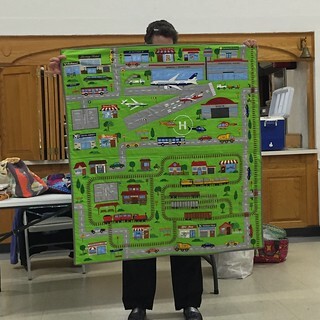 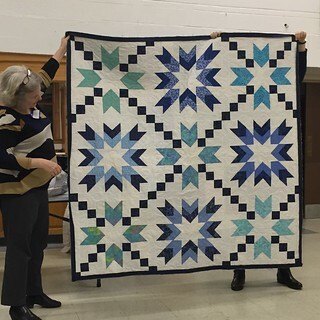 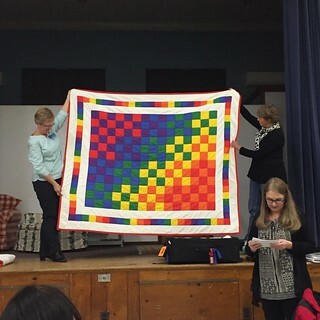 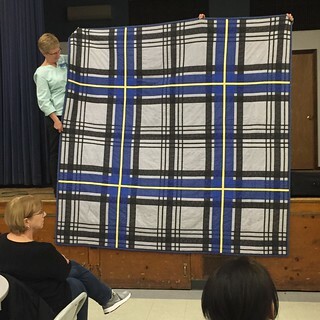 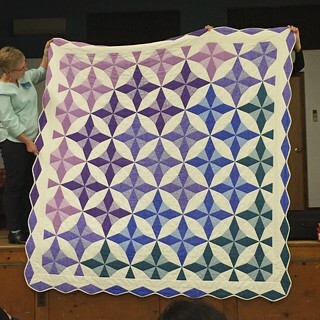 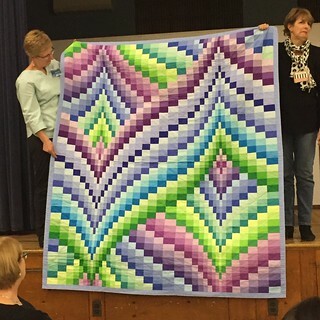 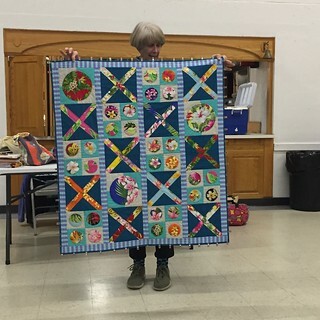 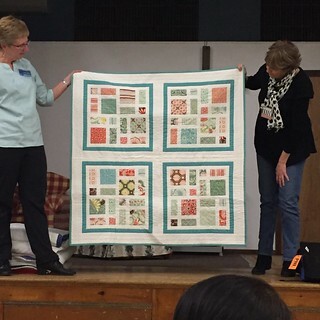 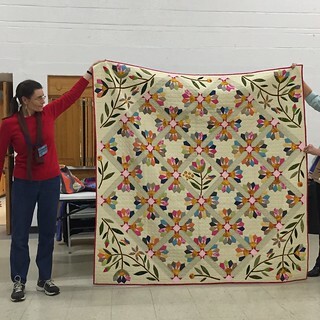 She showed us quilts spanning her entire time as a quiltmaker. 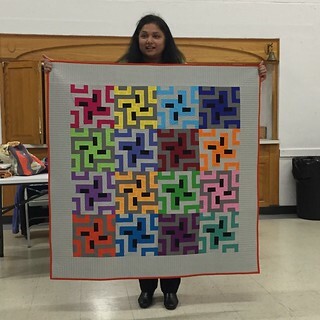 She has a background in math and drafts her own patterns using computer programs. 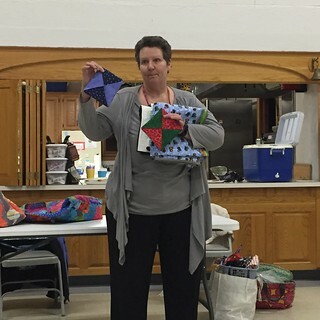 Janneke did a demo on some methods of furoshiki, using fabric to wrap gifts. 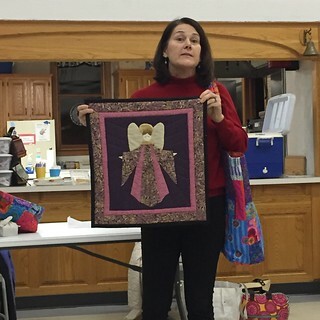 There was no Guild Bee to hand in this month, but one was handed out to return next month. 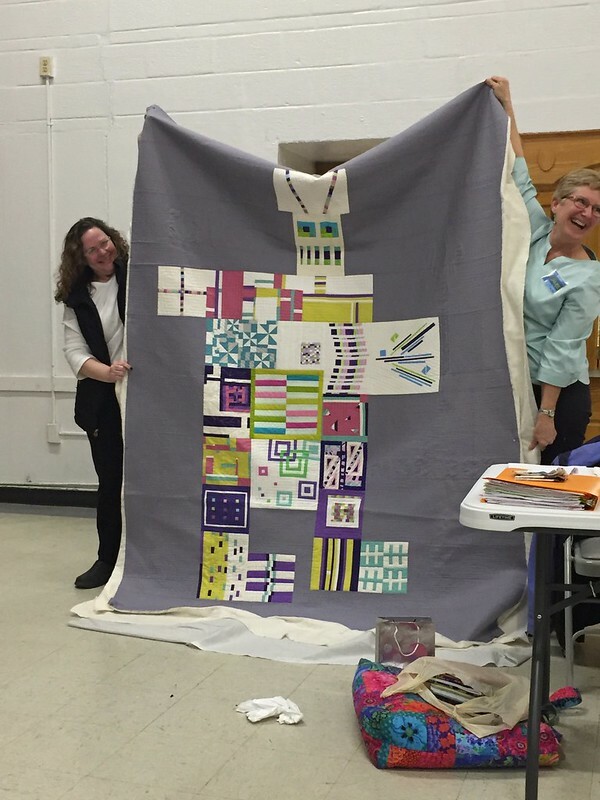 This year's completed bee quilts are due in May. 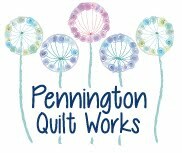 We're looking for a few members to join the bee next year. 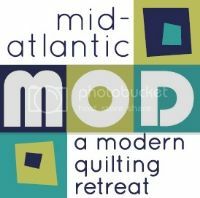 It's a great way to expand your skillset with a low commitment - you only have to make one block per month! 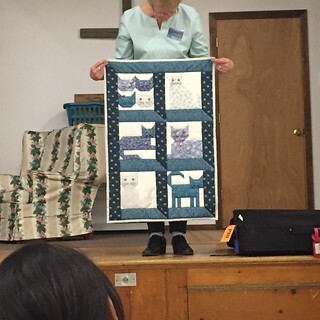 Then we had everyone's favorite: Show and Tell!